2017 was a decent year for me on a personal level. Aside from the last couple months of the year, I did find myself with more free time from work than I had the past few years (although this new position is going to be even better and would be the normal 9-5 schedule a desk job like mine should be). I also managed to pay off some long-standing bills last year, giving me some extra disposable income. 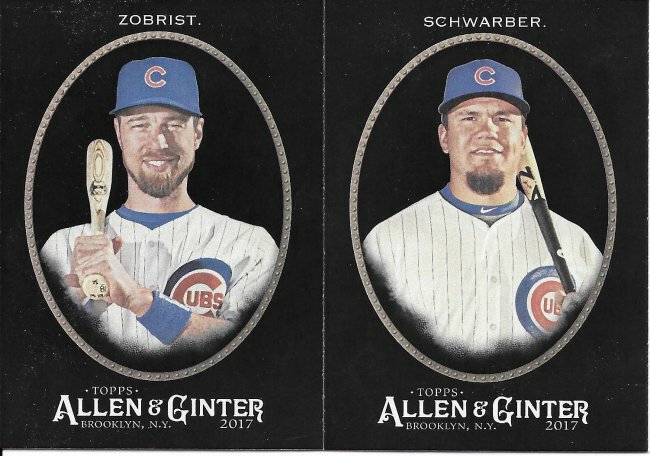 Those factors, when combined with my need to collect many of the current Cubs players again has peaked my interest in joining group breaks. I haven’t been willing to get in with the guys making it a full-time business, so far. That world is actually a little intimidating. So instead, I found a couple good alternate options. 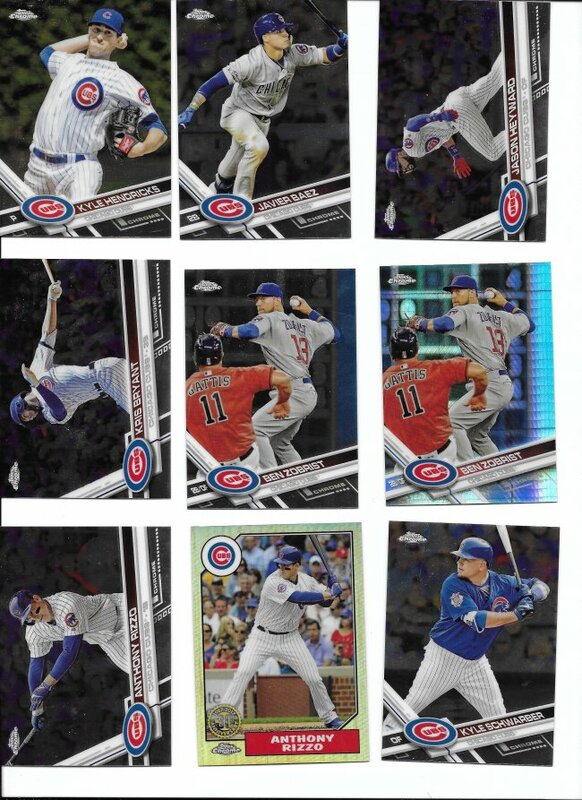 First up, we have a Series 2 break from Tracy’s Box Breaks (BatcaveLV on twitter and posts on his blog are here). He occasionally does some cheaper breaks and sometimes mixes old and new products. This particular break was a tw0-team break with just the S2 box, and that’s fine by me. I nabbed what is probably the full team set from the box. My other team was the White Sox, conveniently paired. 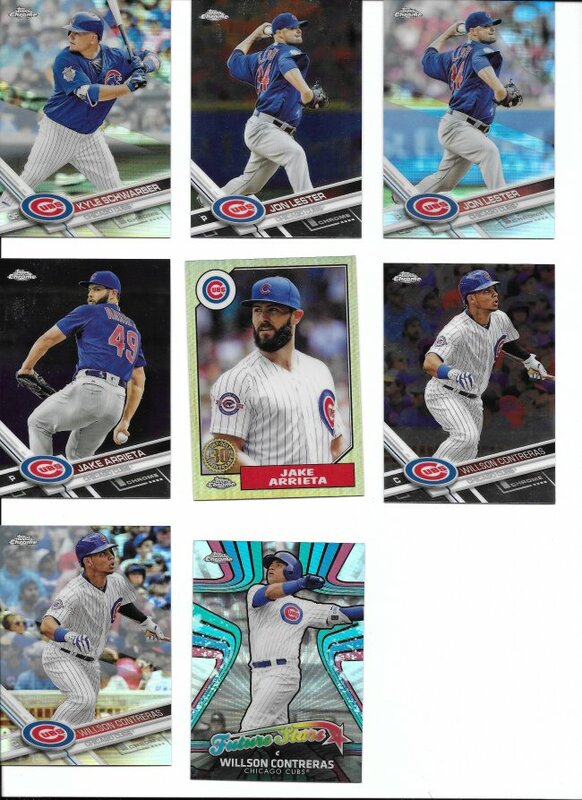 I don’t need any of those cards, if you’re interested (I have more than what’s in the scan). 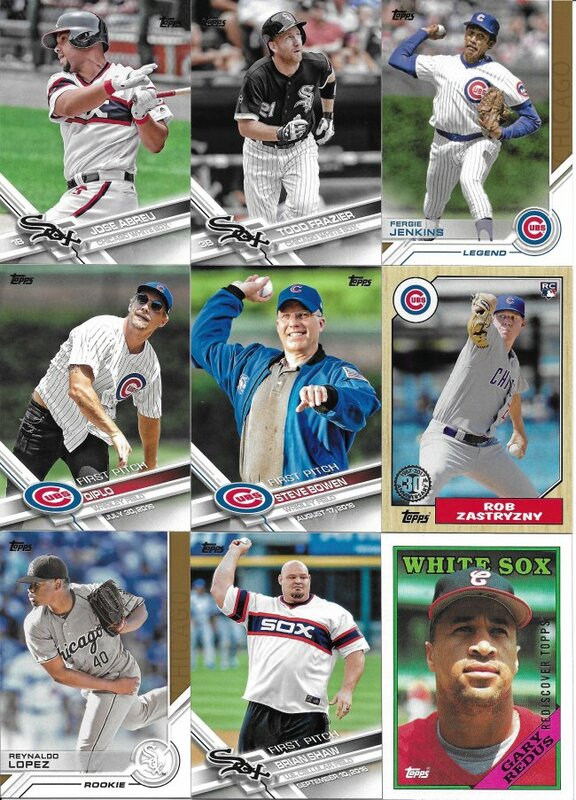 I nabbed a healthy amount of inserts overall, which was cool. 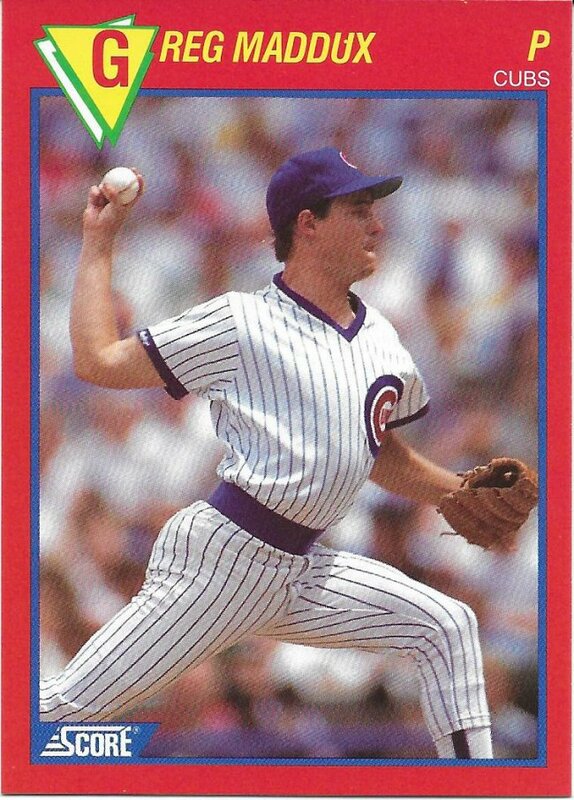 Even got the highly coveted silver stamped ’88 buyback of Gary Redus. 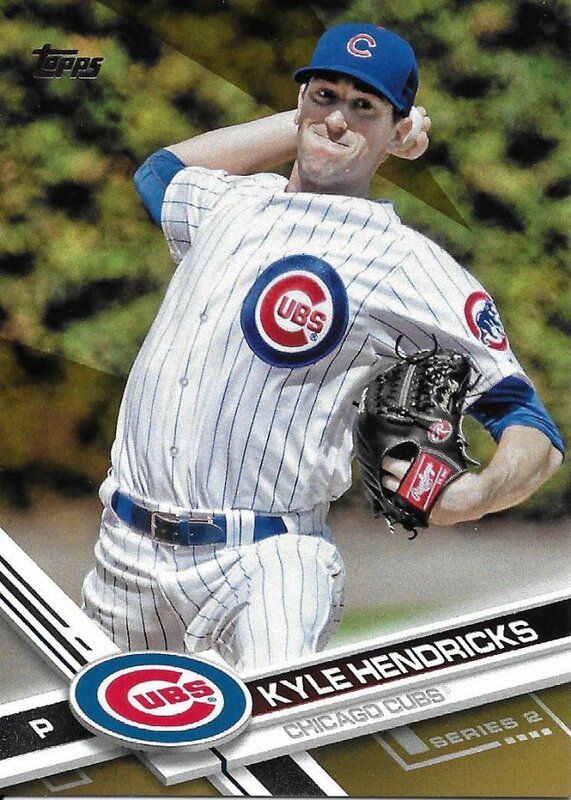 The box also lucked me into a gold parallel of Hendricks. 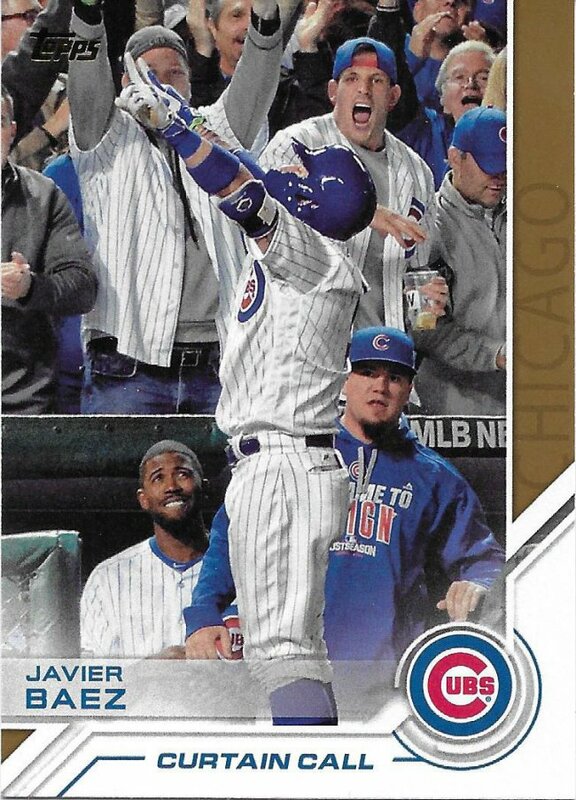 And this Baez insert. Always nice to get some of these out of the way. Tracy also may send out some extra freebies, if he feels so inclined, and lucky for me, he did. 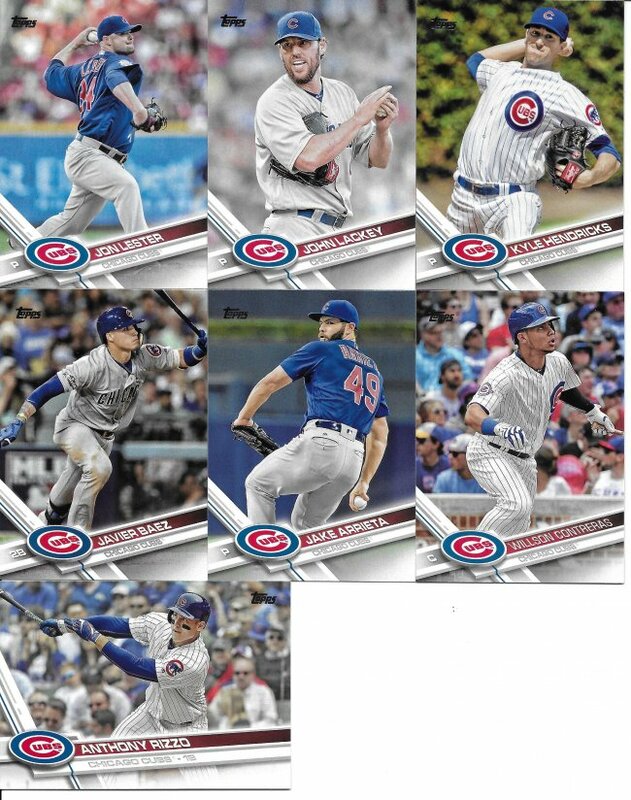 So, now I have this Almora USA card, which I think was from a box set thing. 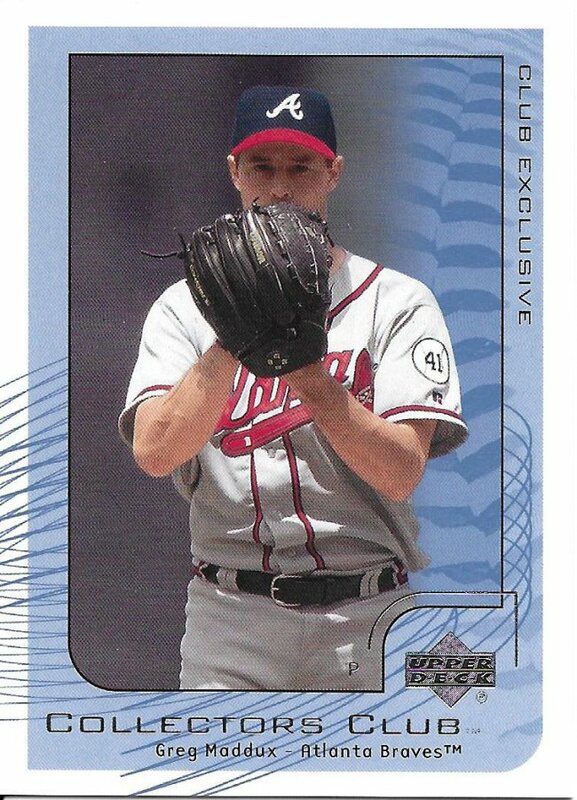 I don’t think he knew I collected Maddux, but he sent two cards I surprisingly didn’t have. How was I missing this old Score card? And I got this Etch a Sketch design that I needed. Thanks, Tracy. Let’s move on to Crackin’ Wax, who does a bunch of breaks (twitter handle here). I used to participate way back in the BoBuBingo days (is that correct? ), but haven’t in some time. Part of that is not needing Cubs. And other people jump in. 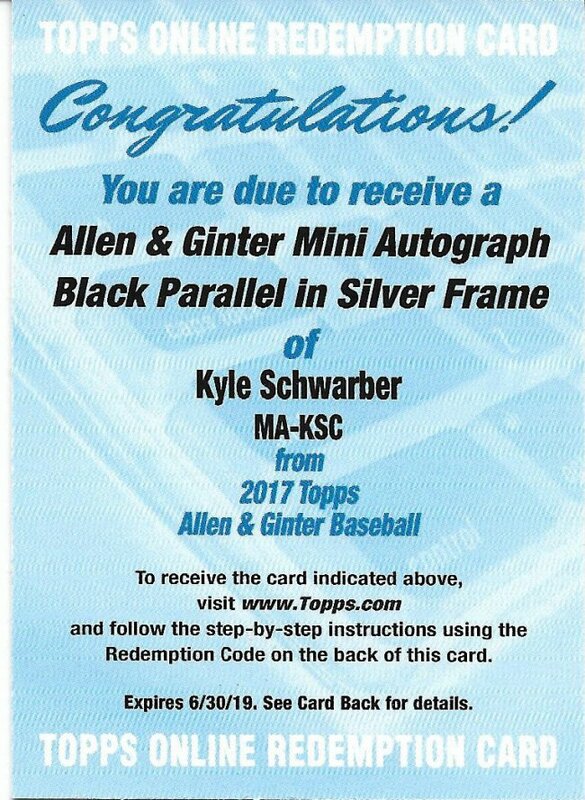 I got in for the Chrome half-case break. I didn’t hit any of the big time hits or find the infamous Bryant variation, but I did get a Zastrynsky auto (not scanned as I’m not collecting him). 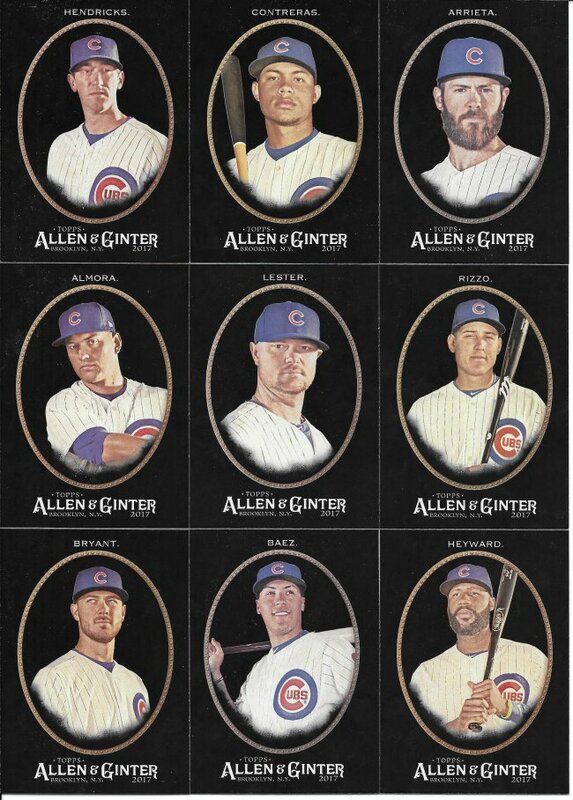 As you can see there are a few more refractors and inserts in the bunch. I do have some doubles of the base if anyone’s interested. Lastly, we have a surprise entrant. Super case breaker Brent and Becca (twitter) decided to group break a couple cases instead of flip on ebay as usual. 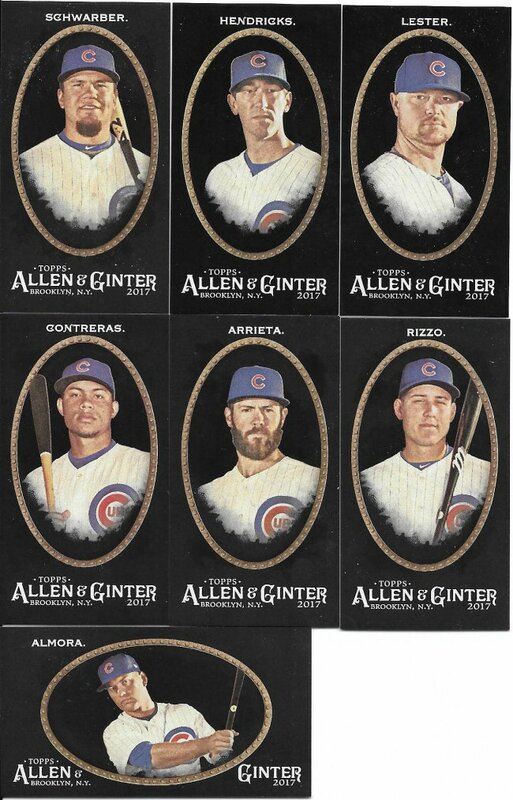 Ginter X was the limited run full set parallel online exclusive thing. He did a random team break and I got the Red Sox. 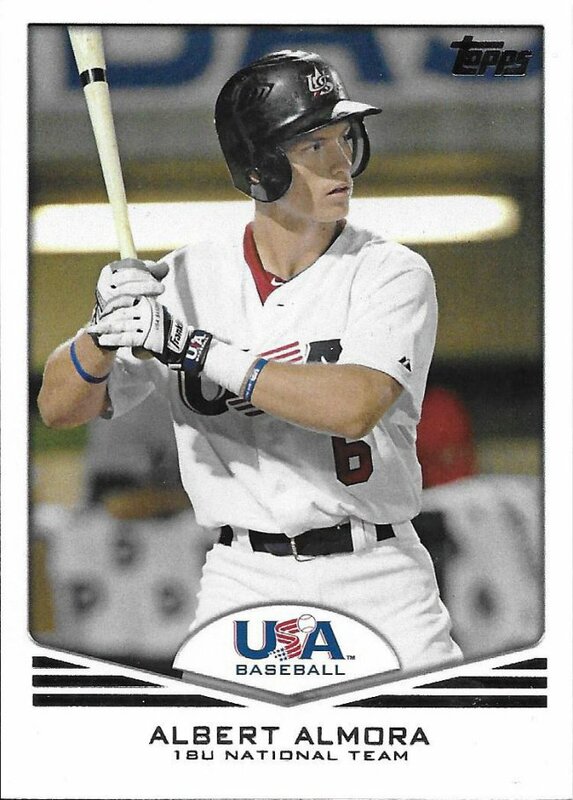 While I would have been happy to flip some of those Benintendi’s, I was lucky enough to coordinate a trade with the guy who landed the Cubs. 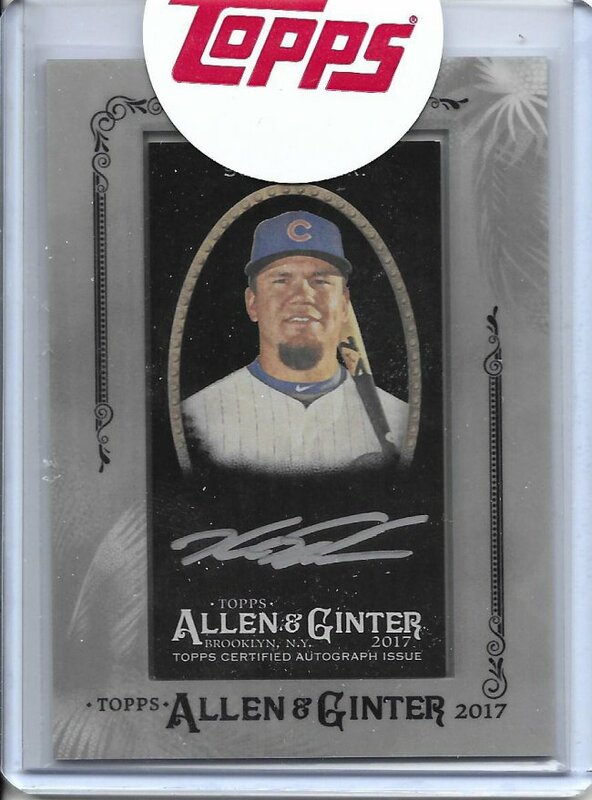 A case of this netted a bunch of cards, and I have tons of dupes if there are any Cubs collectors looking for the base. The minis are a big draw. I forget the exact expected count, but considering the production, it’s limited. I think 250 or less of each, and about 100 for each SP mini. I didn’t get all of my guys, and I’m missing the priciest one in Bryant, but still a good haul. But we’re not done. 12 boxes in the case. 2 autos per box, and one of them is mine. The redemption was filled in February. I’m almost positive that if the autos were numbered, they wouldn’t fit my collection parameters, but I’m not exactly turning this away. Not too shabby. My group breaking has already since died down, but you never know when it might pop back up.